General Hospital’s Victor Cassadine Returns: Thaao Penghlis is Thrilled to Be Filming Again! Longtime fans of General Hospital got a pleasant surprise a few weeks ago when it was confirmed that Thaao Penghlis will be returning to the role of Victor Cassadine. It has been 32 years since Penghlis last worked on a GH sound stage and the character of Victor is in many ways still a question mark. According to the Jan. 6th print edition of Soap Opera Digest, Victor was originally knee-deep in the ice princess storyline that basically involved the beloved Luke Spencer saving the world, and when the character was sent off to prison Penghlis jumped ship. Then producer, Gloria Monty told the actor that she wanted Victor to sit in jail for a few months and then she would bring him back to the canvas. In that time Penghlis took the role of Tony DiMera over on Days Of Our Lives and never even considered going back, until recently. Penghlis says he had no idea that this opportunity was even being considered until his phone rang with an offer. The actor joked to SOD that all of his good work fortune comes when family is visiting from Australia. 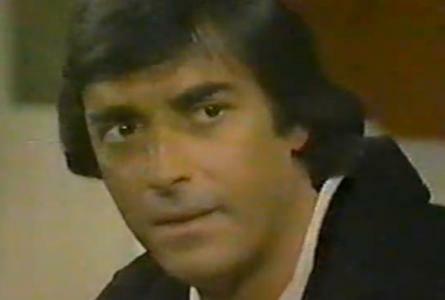 The chance to reprise Victor came as his sister was visiting and he earned an Emmy nod for DOOL while his brother was visiting a few years ago. As for the character, we’re really not sure what the powers-that-be have in store for him but Penghlis has been doing his homework. He has been watching episodes to see how current characters are connected to each other and he is thrilled to be reunited with Tony Geary and Nancy Lee Grahn again. Penghlis tapes his first scenes on Jan. 6th and he’ll be filming 6 shows in 5 days. Are you looking forward to the return of Victor? Tell us your thoughts in the comments below!